The index opened strong and went up to make high of 8262 within the first few minutes of trade, but profit booking at higher level saw Nifty close flat at 8220.80, gain of 1.85 points. The broader market was negative with 670 advances to 891 declines. Range stays at 8000-8400. Call option 8300-8700 added 14.55 lacs OI with short covering at 8200 and below strike prices. Put option 8300-8100, 7800 added 16.31 lacs OI with profit booking at 8000 and 7700 strike prices. 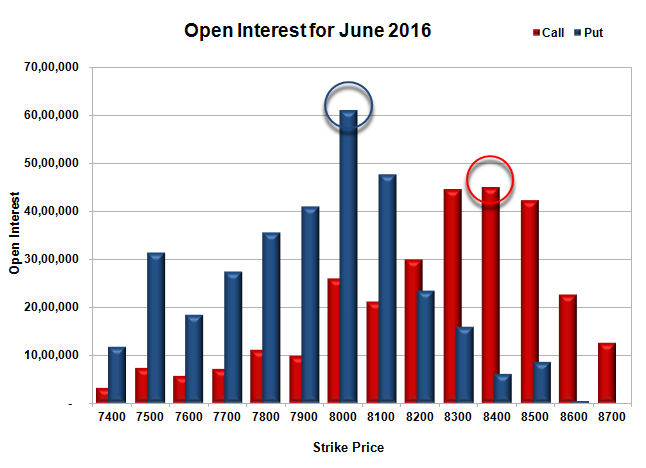 Nifty Open Interest is at 2,11,92,750 down by 3,26,850, with increase in price, probably short covering. 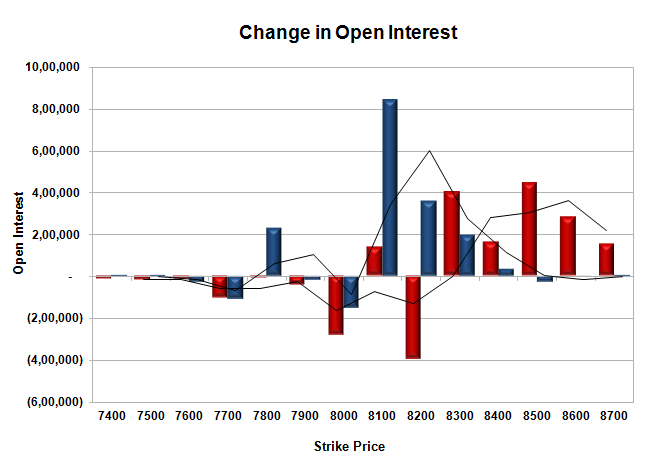 Bank Nifty Open Interest is at 17,24,790 down by 39,690 with increase in price, probably short covering. FII’s bought 4893 contracts of Index Futures, which includes net 1889 contracts long build-up and 3004 contracts short covering, with decrease in net OI by 1115 contracts, includes 22505 longs to 17612 shorts for the day. FII’s Index future open contract as on date is 244082 Longs to 47351 Shorts, Net 196731 up by 4893 contracts. 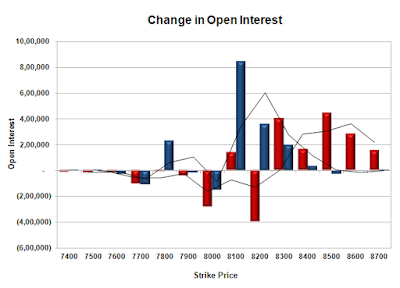 Initial strong support at 8100, with OI of 47.60 lacs and below that at 8000 with highest OI of 61.02 lacs. Initial resistance at 8300, with OI of 44.58 lacs and above that at 8400 with OI of 44.94 lacs. 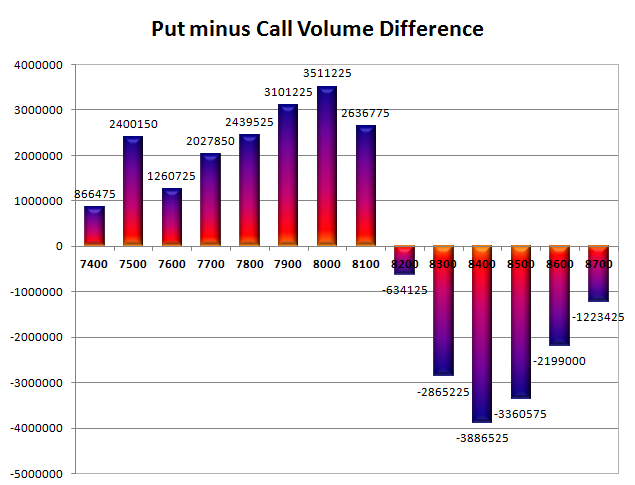 Day Range as per Option Table is 8162 - 8291 and as per VIX is 8156 - 8285 with 8231 as the Pivot.